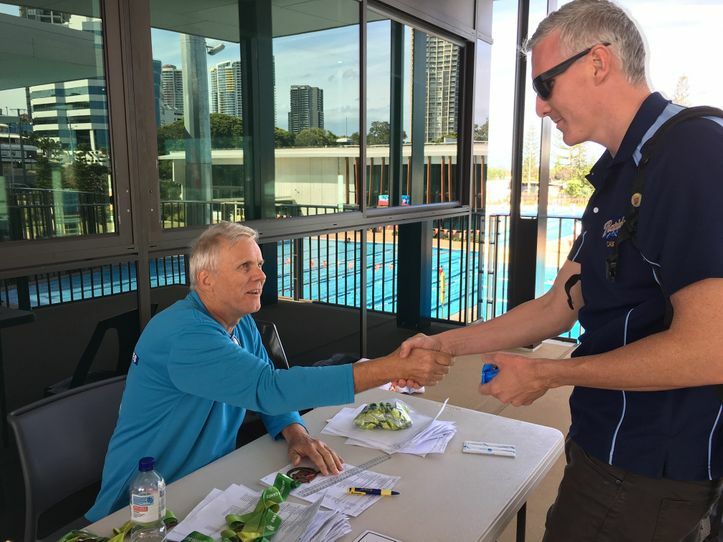 We require two people each day to sit at our medal table, hand out medals to swimmers, and mark swimmers off a list when they have collected their medals. A smiling face is all that is needed! Are you cheerful and friendly? We would love to have you join us to hand out medals. You will be able to sit all day, and will also be provided with lunch and refreshments. 9am to 5pm on 11, 12, 13 April 2019.